I am very lucky to be a stay at home Dad and I'm really happy to be able spend so much time with my kids and help take care of them. As much as I enjoy my time with the kids though, it's not all terrific. So, with Father's Day coming, I felt like there are a few things I need to complain about. We all know, I really have only one day that I can complain. This is my one chance and I'm taking it. I have to do it now, because NO ONE - including my wife who is a stay at home MOM - will ever feel sorry for me. Moms will always have the trump card, because they "gave birth." OK, I get it, I will never be able to "give birth," but I will take my one day and air my grievances. 1. Don't question my technology choices for the family. In my house, I make all of the technology choices. From which cellphone carrier to use, to which wi-fi printer to buy, to which big screen TV we should get. It's all me on the computer doing all that research, finding that perfect technology that completes out lives. I'm sorry that TV is too big, but size does matter. 2. Don't question my choice of car. I know it's kind of a stereotype that guys like cars, but you know what? Guys do like cars. Especially me. I read about them, dream about them, research them, and I spend as much - if not more - time looking at cars as women do shoes. Do we ever question your shoe choices?? 3. Don't tell me I'm cheap. Yes, I want to save money. Yes, I want to turn off the lights in the daytime. 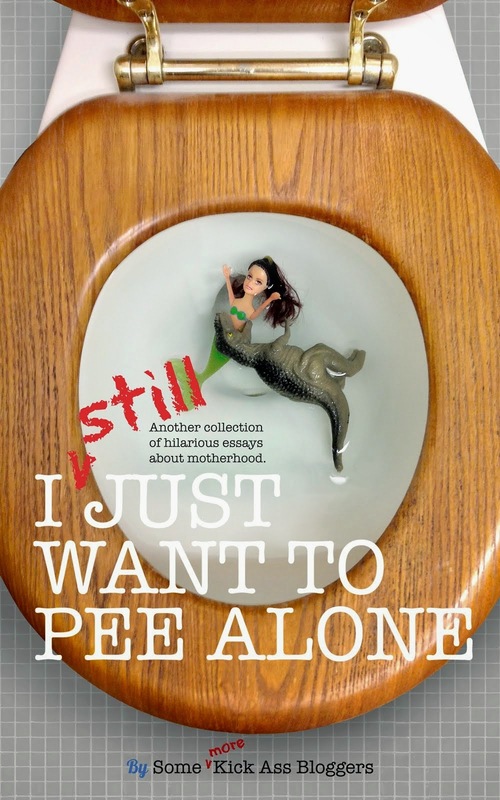 Yes, I pee in the shower - that one is good for the environment and the pocketbook. 4. Don't tell me I NEVER do anything around the house. I cook and clean and some times I even give baths to my kids. I don't give baths very often, because we all know, Dad's are not good at giving baths. Kids are slippery suckers and I would HATE to be blamed for dropping one - not that it has ever happened. 5. Don't ask me if I am babysitting. This one always gets me mad. If anyone sees me out in public alone with my kids, they want to know what happened to my wife - is she in the hospital or something? - and how I got stuck "babysitting" my kids. Guess what? I'm not a babysitter. I'm their dad. Just like my wife, I'm responsible to take care of my kids too. I take care of my kids alone on a normal basis, so my wife can have some "girl" time out with her friends. 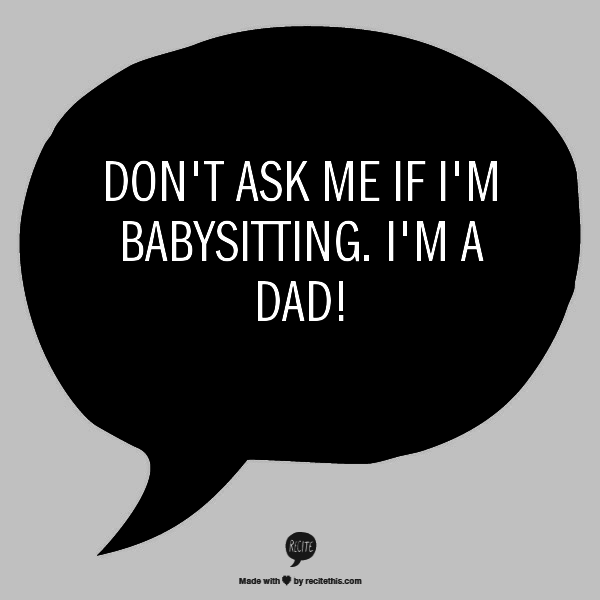 NO, I'm not a saint and I don't want a parade or a medal, just stop calling me the "babysitter." 7. This one is a little controversial and it is directed at my wife. Don't deny my requests to "get with me" or as my wife likes to say "make sweet, sweet love." Now, hold on before all the brooms and pitchforks come out - I love my wife. Is it so wrong that I want to be "with" my wife? I know that she may be tired, and grumpy and in desperate need of some hedge trimming, but I DON'T CARE. I still want to be with her. No matter what. Come on, it's only 1 hour out of your day, honey ... OK, who are we kidding? It's more like 5-15 minutes out of the day. That's even better! I hope this Father's Day, we really celebrate all of the dads out there. Yes, we didn't "give birth,"to our children, but we are an important part of the family and we do love and care for them. Be sure to thank the dads you know for all that they do, but just remember one thing, NEVER thank him for "babysitting." For a special TREAT, you can buy "I JUST WANT TO BE ALONE." It is filled with hilarious stories about HUSBANDS. I'm in this book! If you like this, find me on Facebook, and Twitter. Thanks for babysitting the kids this weekend so I could have some girl time with your wife. OH SNAP.